Is my data securely stored? Security, How secure is my content. It's an important question and we take security seriously at Brandkit. Our security features are designed to cover your security and privacy requirements. Every account can also write their own custom version of these policies - and we respect your right to use your own legal folks to write those policies. Every account has a standard copyright and customisable statement. 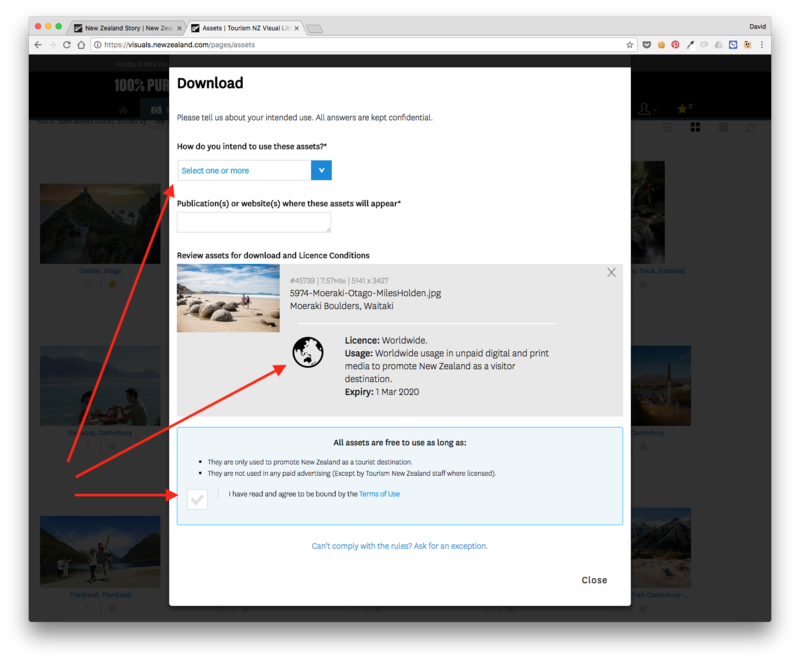 Every account has the configurable option of adding Brand Guidelines and having these automatically attached to downloads of assets. Every account has the option of adding Usage instructions at the Asset level. Every account by default requires acceptance of terms when users Register or accept and Invitation to Register. Every account by default requires acceptance of terms whenever users download or share assets. All this is recorded and available in Reports. Our cloud-based solution uses the world's number one cloud infrastructure partner, Amazon Web Services (aka AWS); renowned for not only high reliability and redundancy, but also for using the highest possible data security measures and trusted by corporations and governments around the world. The European Union’s General Data Protection Regulation (GDPR) protects European Union data subjects' fundamental right to privacy and the protection of personal data. It introduces robust requirements that will raise and harmonize standards for data protection, security, and compliance. Brandkit will comply with the GDPR when it becomes enforceable on May 25, 2018. In addition to our own compliance, AWS is committed to offering services and resources to our customers to help them comply with GDPR requirements that may apply to their activities. 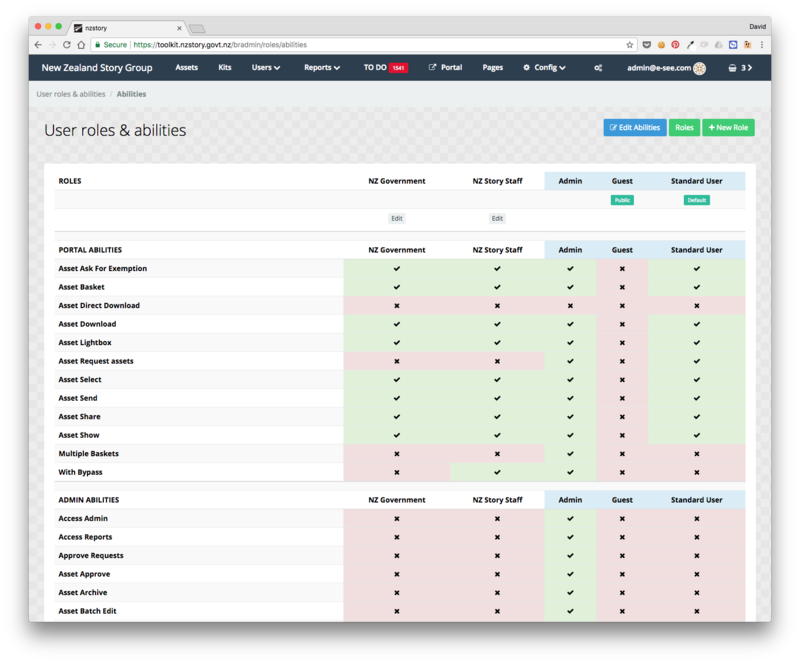 Configurable User Roles and Permissions define what each user can see and do. Example from NZ Story (NZ Government) shown above. Users Login via, a standard validated email & password combo (SFA) or, via single sign-on (SSO) with options for integration with Azure Active Directory, Microsoft, Google or Facebook credentials, keeping it simple for users, but giving you full control. Note: Given that the primary purpose for most of our customers is the creating a brand kit or visual library (i.e. a media outlet) whose purpose is to encourage use of official brand and content assets, we keep the registration and password requirements simple and flexible. More draconian measures such as forcing password resets and minimum length or format passwords, would put barriers in the way for many users (who visit maybe only once or twice). For Enterprises who want these controls, SSO integrated with your cloud ready authentication services (such as Azure Active Directory from Microsoft, Google etc) is available.